Thirty years ago a strange phenomenon called "spacequake" devastated the center of Eurasia, claiming the lives of at least 150 million people. Since then, smaller spacequakes plague the world on an irregular basis. 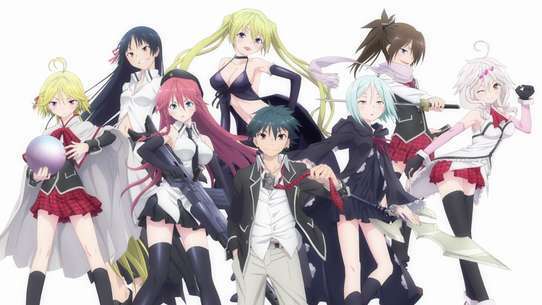 Shido Itsuka, a seemingly ordinary high schooler comes across a mysterious girl at the ground zero of a spacequake and learns from his sister Kotori she is one of the "Spirits" who are the real cause of the spacequakes that occur when they manifest themselves in the world. He also learns that Kotori is the commander of the airship Fraxinus, crewed by the organization Ratatoskr, and is recruited to make use of his mysterious ability to seal the Spirits' powers thus stopping them from being a threat to mankind. However, there is a catch: to seal to Spirit's power, I must make it fall in love with him and kiss her. On a mission to avert disaster, Shido attempts to rewrite history. Can he stop Origami's crazed rampage or are her parents doomed to die? 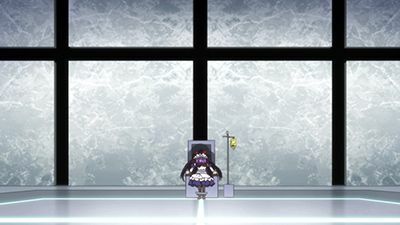 Tohka is born into a negative form with her counterpart sword Qliphoth and has no memory. Mana and Jessica reach the concluded battle. Jessica, dying in Mana's arms, tells how she always felt jealous and wanted to become strong for the DEM, Mana made her decision to dishonor Westcott. Westcott decides to retreat, although he briefly calls Shido "Takamiya". Tohka launches brutal attacks then Miku becomes vulnerable. Yoshino, Yoshinon, Kaguya, and Yuzuru regain their sanity. Shido took the hit to protect Miku. Tohka swings the sword of demise on the city, Shido flies towards her reminding her of him; dropping the Sandalphon, he seals her power once more with a kiss restoring her. Kurumi continue her search for the captive Spirit. The next day, Miku who is happy trusting Shido she purposely kisses him sealing her power much less her clothes. Miku invites everyone to listen to her latest concert then announces to her "darling" stunning the crowd and Shido. His competition among the girls' affection continues. Picking up directly from Origami seeing Kotori, a frightened Kotori is with Shido at the amusement park riding various roller coasters and attractions on their date. Without communications, Ratatoskr can only monitor with Kyouhei making masochistic comments to the opportunities Shido should have taken. While separated, Yoshino tells Tohka what she overheard about Kotori being a Spirit and how Shido is trying to seal her powers. 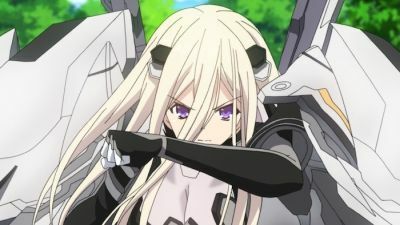 Origami steals the DW-029 Annihilator Gear codenamed “White Licorice” and suddenly attacks Kotori as she is talking to Shido. Origami enters into a rampage, going into a full offensive when she witnesses Kotori change into her Spirit form. Before Kotori strikes a finishing blow, Origami tells her of how she killed Origami's parents five years ago sending Kotori into a state of temporary shock. Shido intervenes, delaying Origami but as she is about to fire Tohka and Yoshino arrive. Tohka strives to stop Origami but as her ordinance is exploding ever closer to Shido and Kotori, the latter two kiss effectively sealing Efreet. During the kiss, Shido and Kotori remember exactly what happened five years prior. Shido pleads with Origami as she reaches the operational limit of White Licorice and collapses from exhaustion. Kurumi is seen on a rooftop only commenting "This is not enough." Back on Fraxinus, Reine reveals that the date wasn't necessary as Kotori's affection levels hadn't wavered since Shido first woke. Kotori returns to fill out reports asking if what Shido said was true. Kotori gets uncharacteristically embarrassed as he confirms his love of her, but as Shido finishes saying simply as his sister he receives swift punishment. During the credits it's shown that White Licorice has been returned and Origami has been hospitalized. 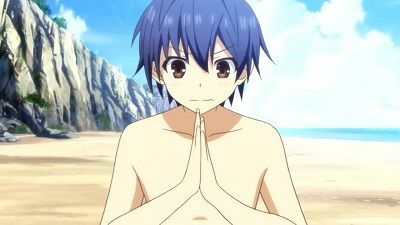 As Shido is going to kiss Tohka he's interrupted by Ratatoskr and finally [Yoshinon] along with Yoshino who simply say "To be continued. Sometime." The woman stalking Tohka and Shido before, Ellen, finally reveals her true colors and orders a pack of mechs called Bandersnatch units after Tohka in an attempt to capture her. During the clash, Tohka gets incapacitated and captured only for Shido to call upon her sword to break the Bandersnatch off her. Meanwhile, Kannazuki and his crew on board the Fraxinus gets attacked by an enemy airship. Kannazuki launches a counterattack after deflecting several shots, leading to a full-scale dogfight between the two ships. Back at Shido's battle, Ellen falls down into a pit trap (oddly enough) dug by Ai, Mai, and Mii allowing Shido and Tohka to escape. 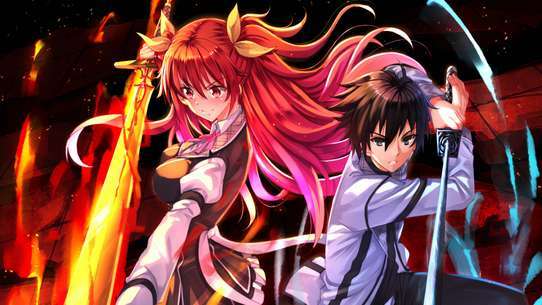 Running to Kaguya and Yuzuru, he summons Tohka's power to intervene the duel and convinces both the girls to forget about becoming Yamai and focus on enjoying their lives together. Noticing the airship that attacked the Fraxinus, the twins combine their powers and eviscerate the ship with one massive blast. After the incident, Shido successfully seals the Yamai twins' powers, unfortunately stripping them of their clothes just as Tohka arrives. 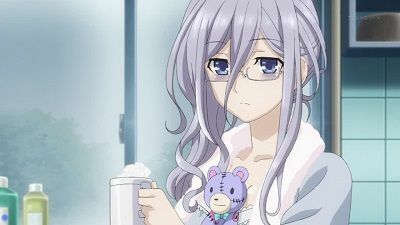 Meanwhile, Kotori learns from a strange man that Shido has manifested a spirit's power and that she might have to kill Shido if the situation worsens. Shido meets a pretty trickster that loves to get compliments. He also runs amok at the school doing one naughty thing after another. Or does he? Shido almost got caught until Miku makes an entry as she commands the Spirits to join the battlefield just to collect Tohka. Origami in a convention suit partners with Mana. 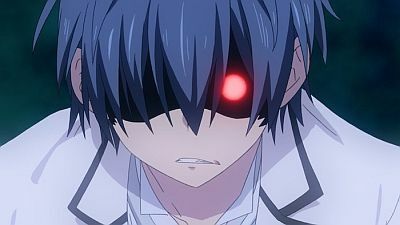 While Shido and Miku argue, he reveals that Kurumi learned how Miku acquire her Spirit power from Phantom (like Kotori), she finally tells that she used to be a splendid singer Tsukino Yoimachi, but one day she rejected a TV producer's career offer due to disgrace, then bad rumors spread with no help from her agency and fans, she tried to reconnect with her fans, but suffers psychogenic aphonia, resulting in her losing her voice; this cause Miku to tension condemn humanity. Shido vows to keep his promise. Origami, Ratatoskr, terrorizes the territory to subdue Ellen. Westcott makes his appearance when Shido and Miku find Tohka. Shido is stabbed by Ellen with Tohka watching she goes berserk. All the sealed Spirit power is making Shido go wild, but the only cure is to kiss him again. 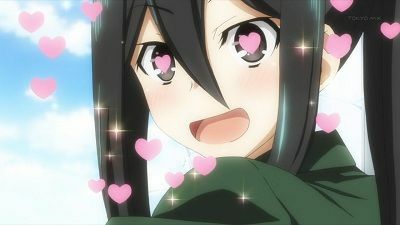 Can all the girls entice Shido to fall for them before it's too late? Mana kills Kurumi and explains everything to Shido. 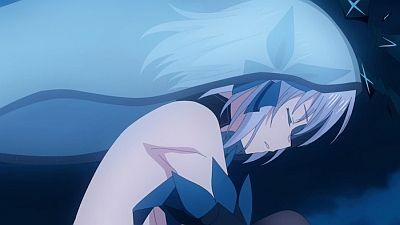 After he is forced away, he avoids Origami and Tohka after running into them because of seeing the death Kurumi caused. Tohka finds out the reason for Shido's behavior and continues her date with him to try to cheer him up. After gaining some insight to Kurumi, the next day Shido declares to Kurumi that he'll save her. Kurumi goes to the school rooftop while encasing the school in her field to dissuade Shido from trying to save her. Mana is confronting Kotori about Ratatoskr and attempting to use it as leverage against Kotori so she'll release Shido from the potential danger he's in. While Kurumi is threatening the school and the town, Origami and Tohka are engaging in battles with other copies of Kurumi. Shido convinces Kurumi only for her to be killed by another Kurumi. As Tohka and Origami show up, it's revealed that the hands in Kurumi's shadow are actually the hands of other copies of herself. Kurumi takes everyone hostage and attempts to blow a spacequake only for it to be blown away. Kotori appears explaining the cancelling of the spacequake while in her Spirit form. She has taken back her Spirit powers from Shido temporarily to fight Kurumi. 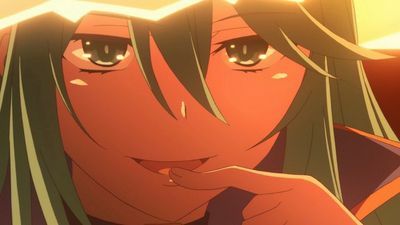 Shido is contemplating the situation regarding Kotori involving the events five years prior including the statements made by her and Origami about the apartment fire. While he meets with Reine to discuss the details regarding the date with Kotori, Origami is informed about high-tech gear coming into the base in two days by Ryouko while she visits Origami in the hospital. 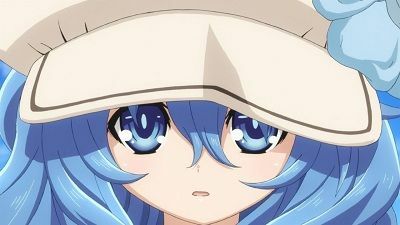 Ratatoskr's headquarter's personnel have all agreed that going to Ocean Park with Kotori is the ideal venue for Shido's date so Shido undergoes a training session outlined by Reine to prepare involving Shido taking Tohka and Yoshino to buy swimsuits. As Tohka asks about a swimsuit, Origami appears and teases her about it being a new piece of anti-Spirit equipment but reveals that her true motive for joining them is to inquire of Tohka about the Spirit of Flames to the point of politely being courteous in her questioning. Finding Tohka's information useless, Origami pressures Shido into giving his opinions on her choice of swimsuit. Tohka and Origami turn it into a battle in that whoever turns on Shido more gets to go on a date with him. Yoshino ultimately wins but back on Fraxinus, Shido watches the video of the fire from five years ago. Recognizing ordinary video noise as an actual person initiates a series of flashbacks that lead to Shido blacking out. During Kotori's date the next day, Tohka and Yoshino tag along to help Kotori ease up and be able to partake of the actual events. As Shido sees Kotori resorting to pharmaceuticals to counteract her deteriorating mental condition, his determination is invigorated so he goes about the date with just him and Kotori. At the AST base, Origami gets a firsthand view of the DW-029 Annihilator Gear codenamed “White Licorice” sent there by DEM Industries for use by Mana. In talking with Ryouko, she's indirectly told that they have footage of the battle between Kotori and Kurumi. In the last scene, Origami is staring at a frame from the footage showing Kotori as she realizes who Efreet is. Kurumi and Kotori start fighting after a short conversation. Kurumi used one of her skills to make Kotori stay still, create copies of her, and shoot her a few times. Kotori fell over after Kurumi's last shot but Kotori's healing skill enables her to not die. 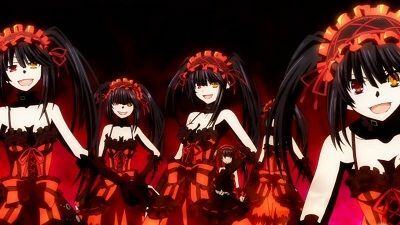 Then, the shocked Kurumi send her copies to kill Shido but he was pushed away by Kotori and the copies were killed. In the heat of the fight, Kurumi used her one of her skills to Kotori but it only worked for a while. Kotori used her weapon to shoot Kurumi's angel after the frightened Kurumi summoned her copies to shield her. He immediately stands in front of Kurumi to shield her, knowing Kotori is no longer herself at that time when he tries to reason with Kotori to not kill Kurumi. Later, after the shot have launched, Kotori suddenly regained conscious and deflects the shot. Shido woke up on the bed after having a dream of the event that happened 5 years ago. He went to meet Kotori for information of her powers after being calmed down by Reine. He left the place in despair to meet Mana and Origami in the hospital after he heard from Reine about Kotori's condition. Being unable to meet Mana, Shido instead meets Origami, who tries to get him closer to herself. Before Shido exit Origami's room in the late evening on that day itself, she told him of her intend to kill the Spirit of Fire after finding it for 5 years to avenge her parent's death, and the reason that she joined AST. Shido and Tohka are on their date being overseen and supported by the Fraxinus crew. Tohka mistakingly assumes that each variety of food she is consuming at first is a "date". Not accustomed to a crowd, when the couple enter the shopping area she assumes that humanity is launching an all out attack on her. Origami observes them from the shadows while Shido and Tohka go from a high priced restaurant to south of the station where they enter an improvised shopping area. 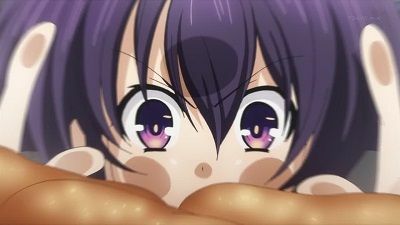 Tohka is able to indulge in the foods present to her desire but notices that Shido doesn't seem to be having fun. They move on to an arcade that is dominated by crane games which Tohka mistakingly assumes is the "mecha team's" secret base. In the course of playing for a prize that has caught Tohka's eye, Tohka inadvertantly voices her bond with Shido. They make their way to a cliff edge where Tohka finally finds out what a "date" is and sees why the "mecha people" want to kill her as she keeps destroying a world that's so kind, fun and beautiful. Meanwhile, Origami is given permission to fire but as she fires, Shido pushes Tohka out of the way and is killed instead. Enraged by Shido's death, Tohka rampages on a stunned Origami as she sees the AST as people who only want to kill and die. 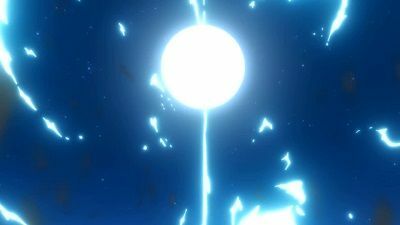 Before Tohka can swing the killing blow on Origami, Shido is revived with his wounds completely healed and falls from the sky towards Tohka. To prevent the city from being destroyed by a critical state Halvanhelev, Tohka kisses Shido while they glide down to the cliffedge as Tohka's Astral Dress disappears. Her last request is that Shido take her on a date again. Mana is having a 10v1 practice match against Origami's unit before having introduced herself at the briefing AST's previous battle with Hermit where she unknowingly reveal's herself to be Shido's sister. Kurumi transfers into Shido's class revealing herself to be a Spirit to get closer with Shido. 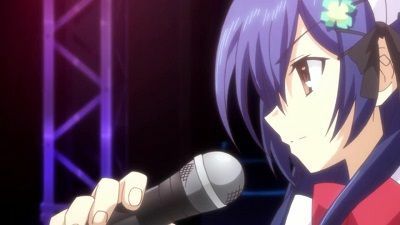 During her time touring the school with Shido they're followed by Origami and Tohka, but as Shido is attempting to seduce Kurumi she is also attempting to do the same to Shido. After school, Kurumi kills three humans and is confronted by Mana. Mana then runs into Shido later on that day. Taking her to his house, what Mana shares about herself leads to a quarrel between her and Kotori but ultimately leaves everyone with more questions than answers. During school the next day, Shido finds out that Kurumi was killed during her confrontation with Mana yet she appeared at school. 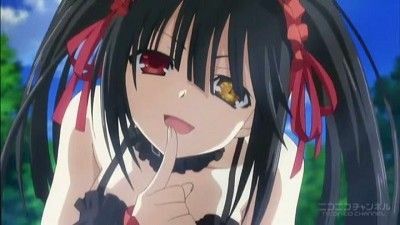 Origami questions Kurumi in a secluded place and finds out that Kurumi is ultimately after Shido. Mana finally awakens from her battle with Kurumi. For the upcoming competition Ai, Mai, and Mii prepare a band to compete against Miku's. 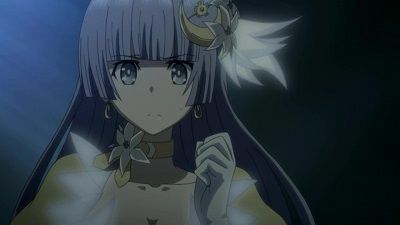 Origami hears from Ryōko about the usurp mission in capturing Tohka and Shido during the festival. Serving a Maid Café with the Yamai twins employed, Shido (as Shiori again) even hands out posters as the head maid when he and Miku come across and ask "her" to date her though Shiori still annoyed of Miku's arrogance. 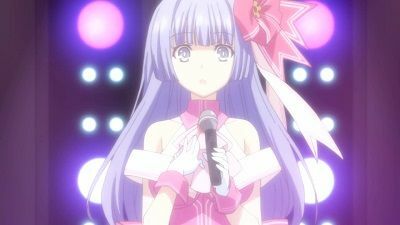 Shido then finds the bandmates were manipulated and will not perform for the concert. Fraxinus cuts the stage's power to slow things down, but Miku gets the advantage with her Astral Dress. The AST led by Jessica target the Tengu Square until Ryōko and Origami piloting the “White Licorice” interfere. Kaguya and Yuzuru as they are professional, backup Tohka and Shido to perform as best as they could regardless of outside interference. Origami is on a mission to avenge her parents, but when she finally discovers the truth, it turns out to be much harsher than she bargained for. As Fraxinus defends against a fierce opponent, Origami stops at nothing to fulfill her wish and makes the ultimate sacrifice. Will she regret the cost to gain what she wanted? Shido invites Kurumi out but is forced on a polygamous date when Tohka seduces him and Origami forces her plans upon him for a date. 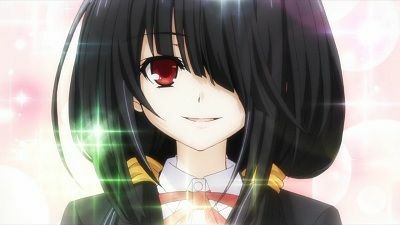 Shido is unable to deny any of them as Tohka would be heartbroken, Origami would be suspicious and his plans to seal Kurumi depend on the date. With their dates occurring around the same time and their entertainment venues located rather close to each other, Ratatoskr assists Shido by teleporting him to each girl's location while monitoring their emotional levels. 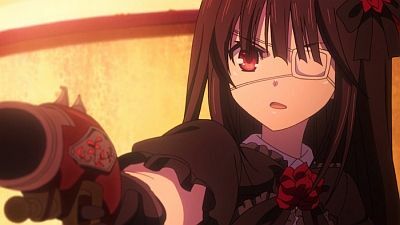 After Shido leaves Kurumi, she finds some boys shooting at a stray cat and convinces them to let her play with them. Ratatoskr loses sight of Kurumi as Origami and Tohka run into each other. After they both proclaim their trying to find Shido for their date, Origami runs off concerned there may be another. Shido returns to look for Kurumi but finds blood, body parts, and Kurumi killing a man. As she holds Shido within her clutches, Mana intervenes wearing her CR Unit. Tohka and Yoshino desire to visit a hot springs so Shido makes the arrangements with Kotori for them to go to Tenguu Gokuraku Hot Springs. Kyouhei attempts to convince Kotori to go but it's revealed that he has ulterior motives. His punishment is to dig a hole and refil it for the next week. Meanwhile, Kusakabe is informed that the DEM Corporation is going to send reinforcements. Kusakabe also finds out that due to the increase in the Spirit's attacks the alert level has been raised causing the group's vacation trip to be cancelled. Convinced by an AST member, Kusakabe decides that the AST will instead go to the hot springs. Origami receives a phone call from Shido where she overhears that he'll be going to the Tenguu Gokuraku Hot Springs with Tohka. While riding, Yoshino is given affectionate attention by Shido which frustrates Tohka causing her to collapse the road. This in turn disrupts the train the AST is riding on underground. 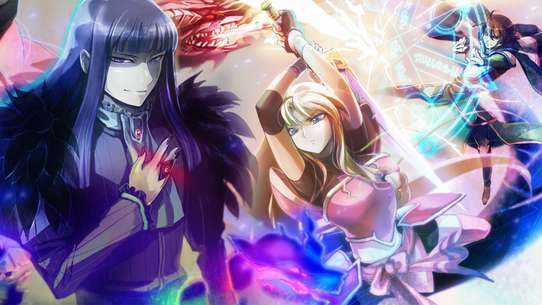 The AST arrive at the surface behind Reine, Shido, Yoshino and Tohka. To prevent contact of the two groups, Ratatoskr intervenes in the path of the AST with multiple obstructions. Shido invites Kotori after seeing her but is interrupted while Kotori is informed of the situation regarding the AST. Kotori orders Date Town to enter Battle Mode Level 2 with authorization to open fire on the AST leading to a battle in which stray ordinance causes [Yoshinon] to fly off. Shido goes to find [Yoshinon] in the midst of the firefight and is almost killed by Ratatoskr's Destruct Mode. Tohka saves Shido from the attack while being overseen by Origami and fellow AST members. Everyone reaches the hot springs but due to Yoshino's actions, it has partially frozen. Kannazuki finds a hot springs that Kotori, Shido, Tohka and Yoshino end up enjoying by themselves. Mana Takamiya is then shown as arriving in Japan. Shido and Kurumi arrive back at the Tengu Square to reason with Miku. Obnoxious she attempts to assault Shido, but Kurumi's power intercepts as she's resistible to Miku. As Kurumi distracts Kaguya, Yuzuru, and Yoshino; Kurumi traps Miku with Shido in a dark void to have private conversation. Despite his apology she still will not listen, so Shido makes his way to rescue Tohka alone. Westcott torments Tohka for his ambition to harness her power in despair. Fake spatial quake alarms are set off to evacuate all civilians. Kurumi holds off a pack of Bandersnatch units, as Mana appears and everyone aboard Fraxinus are back in their right minds. Meanwhile, Miku struggles about Shido's justice whether he actually cares for others than himself. 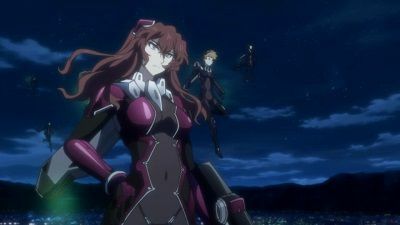 Infiltrating the DEM Industries, Mana and Jessica engage, communications are jammed, Shido summons the Sandalphon to swipe the guards and enduring Kotori's healing ability. The suspension placed on Origami is finally lifted, we see Kusakabe having some complaints and a new character is introduced into the series. Shido is selected as the organizer of the Ten-Oh Festival, after a spacequake alarm goes off, Shido gets working and a new spirit is revealed, Diva, proves to be more of a challenge than the other spirits. 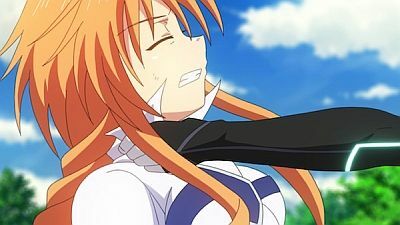 AST interrupts Diva and they go on trying to take her down resulting in her escaping, after Shido encounters himself in a troublesome situation. The transformation of Shido into Shiori begins. The fierce battle to win Diva over begins, but will Shiori be able to accomplish the task at hand or will Diva be more challenging than expected? Shido wakes up and finds that the world around him is different. His attempt to thwart disaster may have succeeded, but for how long will it last? Shido meets Yoshino for the first time while running through a shrine on a rainy, ill-forecasted day. Believing her to be just a girl, he goes on about his way. At school, Tohka has made cookies and competes with Origami for Shido's attention. Arriving home, Shido learns that Tohka will be living in his house since he has sealed her powers. Kotori explains that it is also training as Shido still has to assist in sealing more spirits. Later, as a spacequake alarm goes off during school, Shido heads out to find it is Yoshino that is the cause. 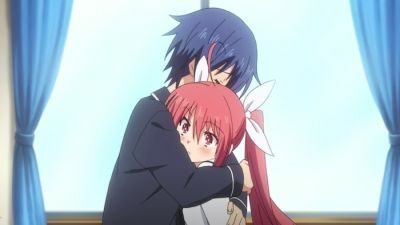 Tohka is left in the shelter while Shido goes out to meet Yoshino only to have Tohka follow him and witness the two accidentally having kissed. Tohka retrieves her powers from Shido but only to provoke Yoshino who attacks while leaving. Utilizing her angel Zadkiel, Yoshino is also able to escape from the AST nearby while Origami eyes Yoshinon, Yoshino's puppet. Tohka is avoiding Shido due to her feelings about what happened between him and Yoshino. She talks with Reine and receives advice and clarity about what occurred. 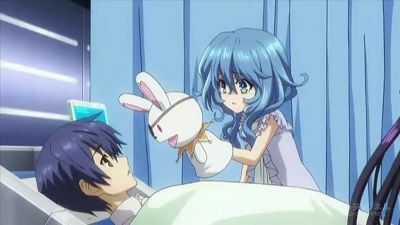 During this time, Shido helps Yoshino look for her puppet, Yoshinon. Yoshino gets hungry while searching so the two go to Shido's house to eat. It's revealed that Yoshinon is Yoshino's friend because he is strong, cool, bold, and is essentially a hero that is everything Yoshino wants to be. As Shido is getting close to Yoshino, Tohka barges is spouting an apology but misinterprets the situation. Yoshino teleports away, Tohka barges out again, but Shido learns that Yoshinon is at Origami's place. Origami forcibly makes progress between them when Shido comes over but as the conversation turns to Spirits, she gets notice of a mission. Yoshino is being targeted by the AST but Shido plans to save her with Tohka's help. As Tohka acts as a decoy, Shido makes it through Yoshino's barrier with Yoshinon to fulfill his promise. With her trust in him established, Shido seals Yoshino's powers. In the last few scenes, it is revealed that the housing for the Spirits has been completed so that Tohka and Yoshino may move in. The twin spirits, still trying to seduce Shido, start cuddling up to Shido completely naked in bed. The situation worsens when one of his teachers walks in on the mess. 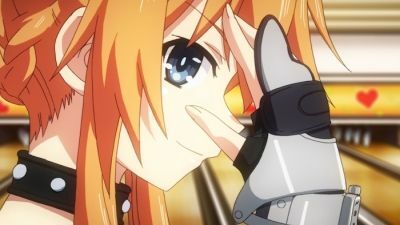 Later, Shido plans to seal the Yamai twins' powers without letting one of them win in an effort to avoid both the unpredictability of the loser and what would happen to the loser's personality. During their contest, they have Shido coat their backs in suntan lotion ending up turned on from the application. Later, the Yamai sisters team up with Shido to take on Tohka and Origami in a volleyball game in which the winner is the former's team. During the afternoon, Origami is ambushed by a strange mech-like being.